Decorate your home with the 60 in. 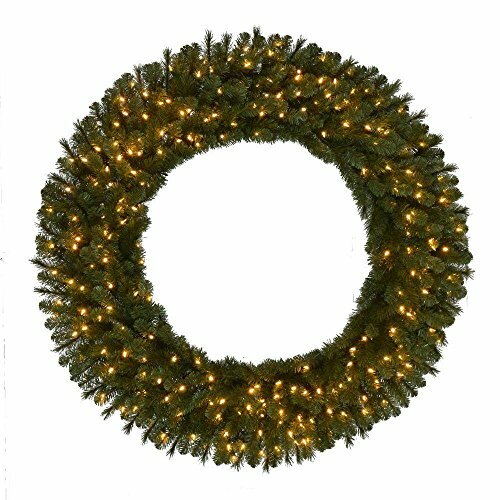 Pre-Lit LED Wesley Pine Artificial Wreath with warm white Lights. This holiday wreath features 498 tips and a natural look. It was pre-wired with 240 warm white lights. With all the work having already been done for you, all you have to do is choose the perfect spot for it - whether indoors or out. It has a durable metal frame, making it easy to hang on the wall, door, etc. If you have any questions about this product by SB Goods, contact us by completing and submitting the form below. If you are looking for a specif part number, please include it with your message.